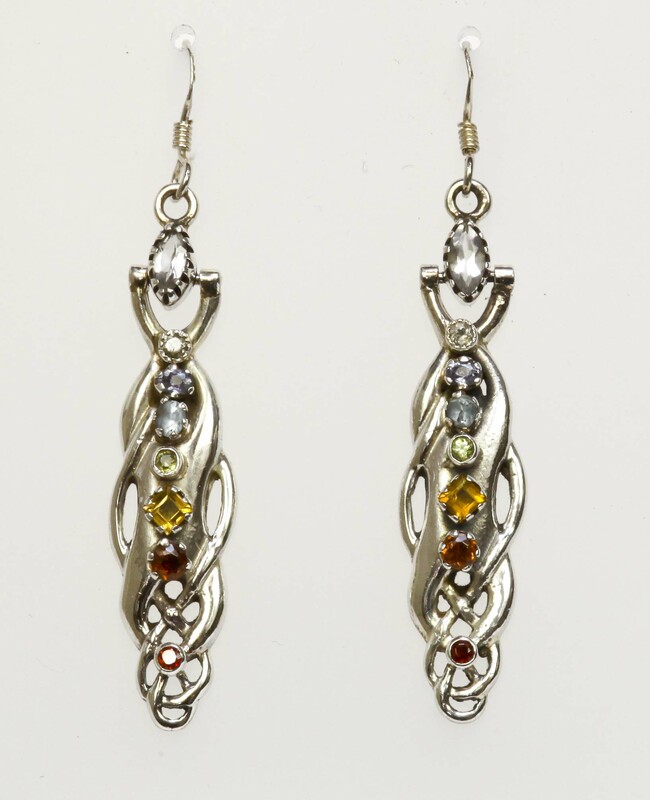 Matching sterling silver Celtic Goddess chakra earrings set with faceted garnet, hessonite garnet, citrine, peridot, topaz, iolite and quartz. The top stones, faceted quartz, are hinged. Each earring weighs 4 grams. For more information about chakras please visit our News page. Clean jewellery regularly with a silver polishing cloth to avoid the build up of damaging tarnish. Stones can be cleaned gently with a soft toothbrush and warm slightly soapy water then rinsed clean. Take care not to damage claw settings or dislodge stones. Dry thoroughly.